Experience Denali National Park with us. Capture views of the world’s most incredible mountain, glacial ice falls, sheer vertical cliffs, and tremendous scenery. 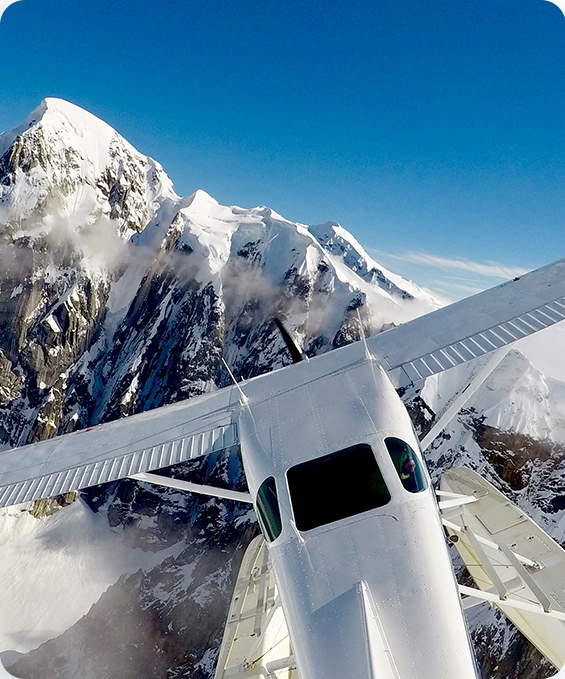 Fly over mountain tops, glaciers, and “base camp,” where climbers begin their ascent of Denali. Alaska Bush Floatplane Service can deliver the best flight to see Denali, the largest peak in North America. 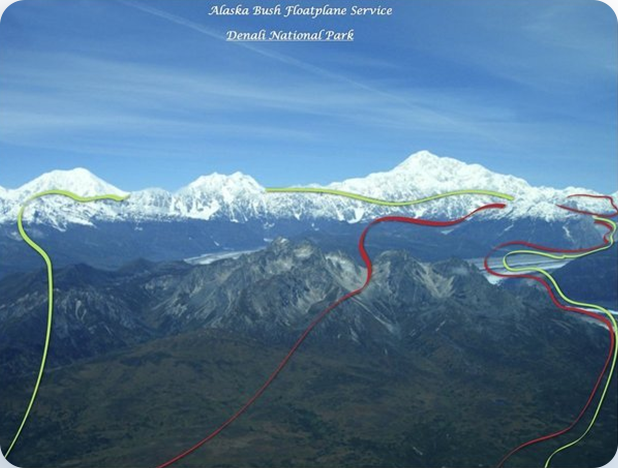 Highlights: Flights into Denali National Park, depending on the weather. Views of Denali, Base Camp, Kahiltna, and Rush Glacier Don Sheldon Amphitheater, Great Gorge. Flights are from May 15th – Sept, the price is for three or more passengers. Experience Denali National Park with us. Capture views of the world’s most incredible mountain, glacial ice falls, sheer vertical cliffs, and other tremendous scenery. 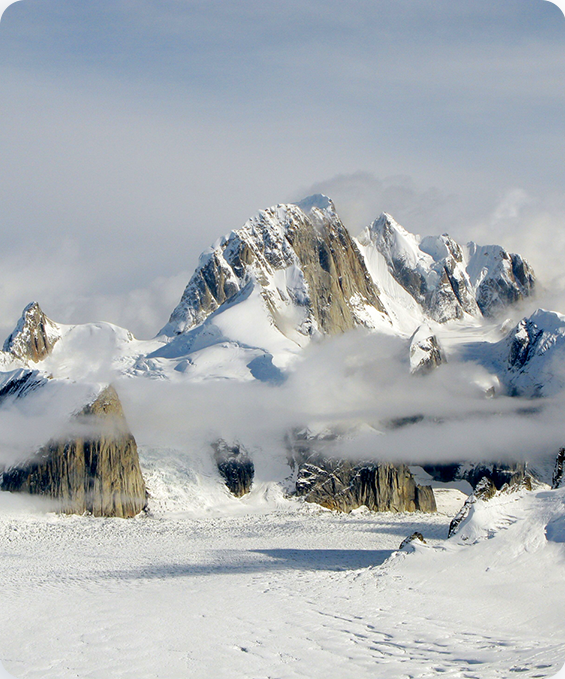 Fly around rock walls, view the Ruth Glacier, the massive Great Gorge, and the Don Sheldon Amphitheater. You’ll fly so close to Denali it fills like as if can touch it. Highlights: Flights in to Denali National Park, depending on the weather. Views of Denali, Rush Glacier Don Sheldon Amphitheater, Great Gorge. Flights are from May 15th – Sept prices are for three or more passengers. Even if grumpy weather you’re guaranteed to see Alaska in a way you’d never see from the road, in a way most never get to see. For some, the greatest outdoor adventures are the ones that you just can’t experience on your own. That’s why Alaska Bush Floatplane Service proudly offers a variety of flights to Denali and flightseeing tours of the Talkeetna area. There are some truly majestic sights to see around here that you just can’t see from any other vantage point that the sky. Our flightseeing tours can be scheduled to suit your needs. And our private parties are more affordable than you might think! Contact us today to learn how fantastic one of our many flightseeing tours can be! You’ll be glad you did!